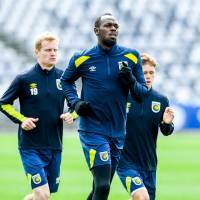 GOSFORD, AUSTRALIA - Usain Bolt will make his debut for the Central Coast Mariners on Friday in a preseason exhibition game against an amateur team. The eight-time Olympic sprinting gold medalist from Jamaica is on trial with the A-League side in the hopes of winning a professional contract. He has been practicing on the left wing and expects to play about 15 to 20 minutes in that position during Friday’s exhibition match. Bolt, who is at home on a much larger stage, expected to be nervous in his debut. Some critics have said Bolt’s bid to turn professional is little more than a gimmick, but staff at the club say they’re givin him a chance to prove himself. 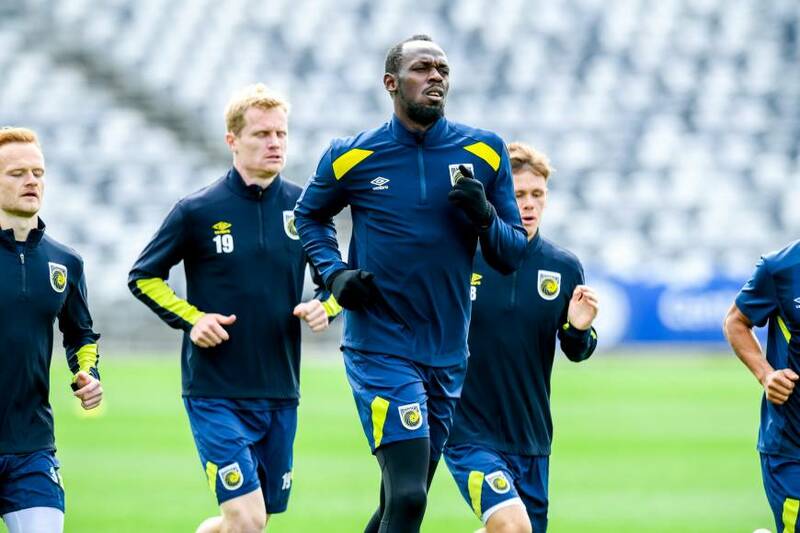 “The thing he’s struggling with more than anything else right now is getting used to the football fitness,” Mariners coach Mike Mulvey said, adding that Bolt is “doing OK” in terms of skills. Bolt said he’s finding the nature of soccer training different and demanding but felt he had made some improvement in his first week.